Head Hunters – a guild that combines the Brazilian temperament with a group of dedicated and sworn in experienced players with a long lasting history. If you want to learn more about the Head Hunters of Albion Online this is the place you are looking for! 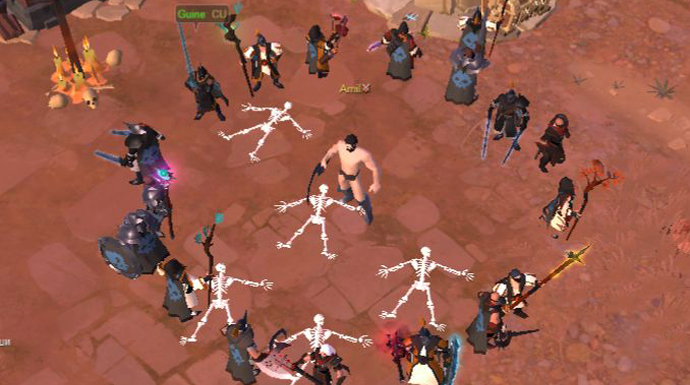 Albion Online has seen the birth of many guilds, but there are also guilds and communities that already existed long before the creation of Albion Online even started. This week we are going to take a closer look at one of those guilds, one that is fairly new to Albion Online but was created more than 20 years ago; Head Hunters. I have talked with Comba, the guild leader of Head Hunters. We have spoken about their first months in Albion Online, their current goals, and their plans for the future. “Albion Online is a big deal for Ultima Online lovers, so big that we want to be successful again, playing a kind of game we love! The decision to bring Head Hunters to Albion Online was a try to revive old memories, although we are older and our availability is different,” Comba explained. Head Hunters’ history in Albion Online started in the current Final Beta, with the main goal of being one of the competitive forces within the game, especially in the GvG and Open PvP sectors. As the core of Head Hunters is already well established, they were able to organize their ideas and members without much of a problem and had a very successful start in Albion Online, despite the fact they were new to the game. Despite Head Hunters being a fairly young guild in Albion Online, they already had plenty of opportunities to fight on equal footing with other well-known guilds. Thanks to a three week long war against the Exodia alliance, Head Hunters could quickly adapt to the game. With their newly gained experience they were able to secure a safe foothold in the world of Albion. The currently ongoing wars against Undead Lords, Nox Noctis and Rising On is giving Head Hunters a lot opportunities for great skirmishes. 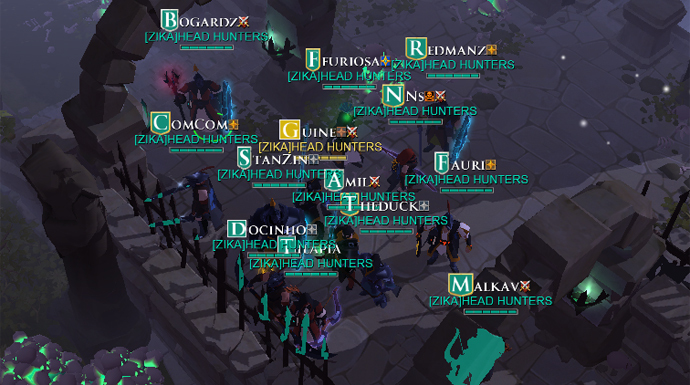 As of now Head Hunters is part of the ZIKA alliance, working together with guilds like Echo of Silence, Valhalla, Chicken Kiss and Honor n Glory, showing that they have gained quite some fame within the community. Especially the friendship between Head Hunters and Honor n Glory was pretty important for the development of the guild early on. “The friendship and the bond between Head Hunters and Honor n Glory is a special one! 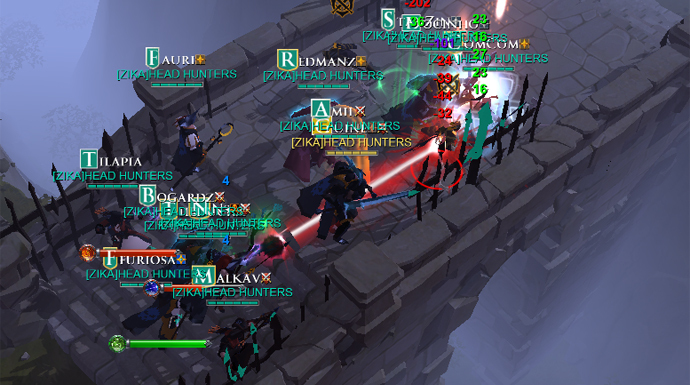 While Head Hunters might be one of the most known Brazilian Guilds we are fairly new to Albion Online. Honor n Glory gave us a hand in the very beginning of our existence. They taught us the very basic of the game, helped us with our very first steps and explained us the important things that you need to know to be a successful guild in Albion Online. Thanks to that the bond between our guilds is very strong and I want to thank Honor n Glory and above all my very good friends Qflex, Gera and Suprema for everything they have done for us!” Comba states. Nevertheless, Head Hunters diplomacy efforts do not end in the alliance they are part of. 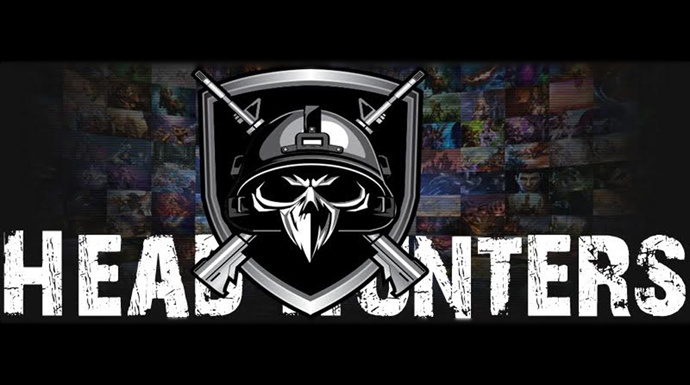 Comba described the relationship between Head Hunters and the Red Army or Aegis as simply awesome: “Both guilds are good examples of friendly, respectful and quality players”, he said. 1.Creating a perfect plan for the official release of Albion Online. 2.Recruitment and training of not only combat active players but also dedicated crafters and gatherers to support the whole guild. 3.Training their core members in GvG combat. 4.Drill the whole guild on open World PvP. However, Head Hunters is facing an issue familiar amongst most guilds: keeping their players motivated. Have you encountered the Head Hunters on your journey in Albion Online? Let us know your experience and share your thoughts in the comments below!